If you’ve ever written to TeamSnap support with a question or suggestion, you already know that you get back a message from a real person — Jenn, Roxann, Melanie or Beth from the support desk, or from someone on the development or management team. Everyone who works on TeamSnap support also uses TeamSnap for their own teams — so when you get a note back from Jenn or Melanie or Wade or CEO Dave you’re talking to a soccer mom or hockey dad who’s walked (or skated, cycled, pitched or dribbled) in your shoes. 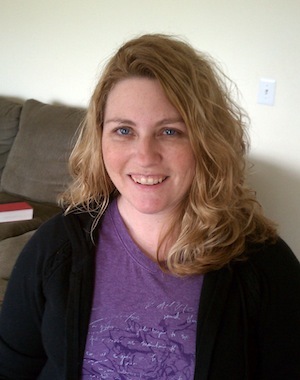 Jenn hails from Maryland, where she lives with her husband Glen and two enthusiastic soccer-playing kids. When not helping TeamSnap customers, she spends her weekends driving the roads of suburban Maryland and Virginia and camped out on soccer fields. I grew up playing all kinds of sports, although my dad would never let me play soccer because we didn’t have girls’ teams and he thought I would get hurt. After years of play and two shoulder surgeries, I now just live vicariously through my kids. And they both play soccer. Jenn has a degree in Information Systems Management from the University of Maryland Baltimore County, and worked as a consultant for eight years before taking time off to raise her kids full time while volunteering. She enjoys working at TeamSnap because it lets her combine her technical skills with her love of sports and helping people. When not cheering on her kids’ soccer teams, she’s a huge fan of the Baltimore Ravens and DC United. We hope you’ve enjoyed getting to know “the real” Jenn Southan. We’re thrilled to have her on our team helping customers get the most from TeamSnap’s team and league management software.